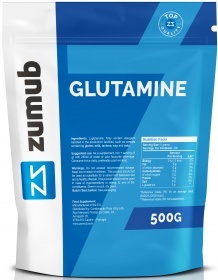 Get 10% discount in "Glutamine 500g" and save 4,80 zł. OSTRZEŻENIA Glutamine : Do not exceed recommended dosage. Keep out of reach of children. The product should not be used in case of hypersensitivity or allergy to any of the ingredients of the formulation. Food supplements should not be used as a substitute for a varied and balanced diet and healthy lifestyle. Store tightly closed in a cool, dry place. BEST BEFORE: Please see lot number and expiration date stamped on the packaging. Uwaga: Jeśli nie masz wątpliwości związane z zażywaniem tego produktu, skonsultuj się z lekarzem lub dietetykiem.